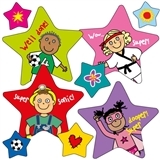 A sheet of 35 Pedagogs stickers in a variety of colours on the same sheet. 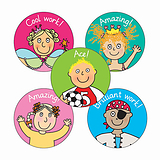 Each sticker is 37mm diameter. 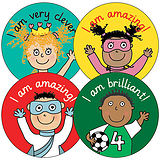 With phrases such as I am brilliant, I am very clever, I am amazing and I tried very hard, these are great for handing out a quick reward to the learners who have deserve that extra special recognition.